In conjunction with the exhibition Suggestions of a Life Being Lived, held at SF Camerawork from September – October 2010, we produced and published a fully-illustrated, color, hard-cover catalog featuring an exhibition essay in the form of a conversation between myself & Adrienne Skye Roberts. 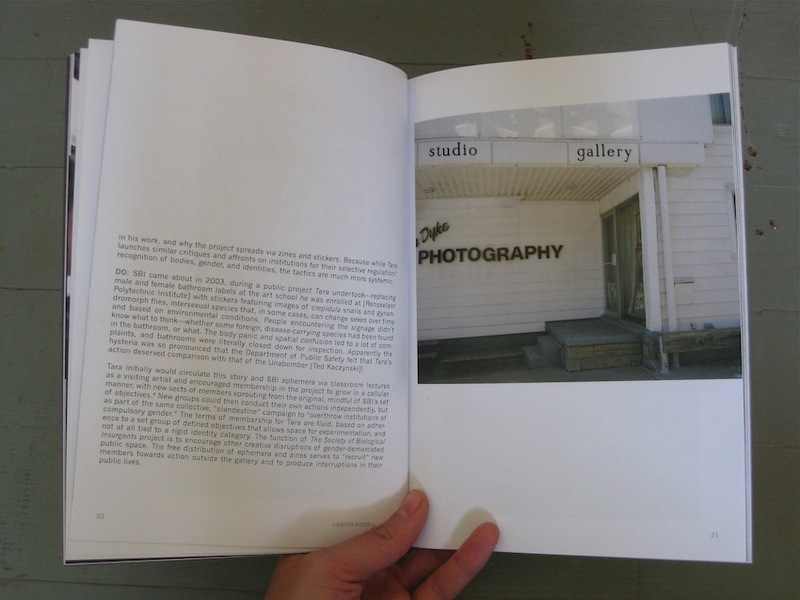 The catalog features several gorgeous reproductions of photographs, ephemera, and video-stills of artworks appearing in the exhibition, and an introductory text by Camerawork’s director Chuck Mobley. The magnificent Jason Fritz Michael designed our lavender homage to the upside-down pink triangle for the catalog’s cover. 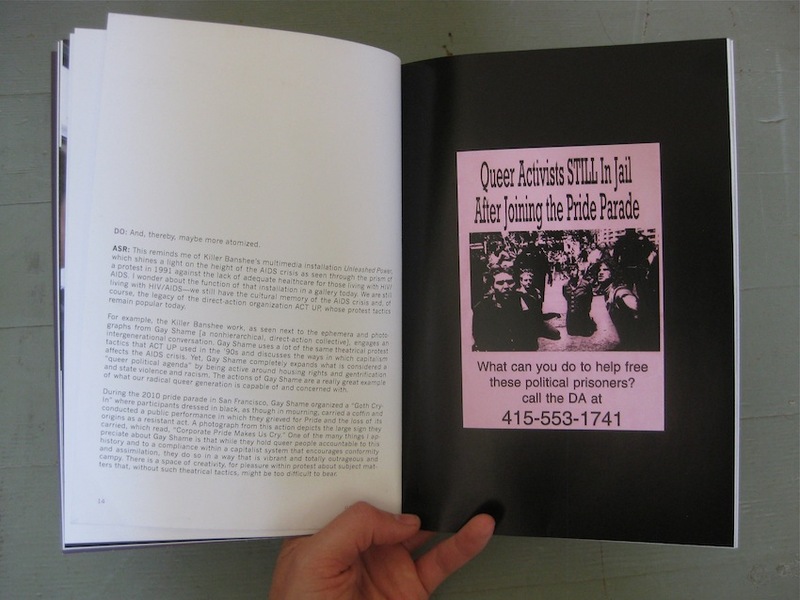 In our conversation/essay, Adrienne and I discuss issues of queer radicality/assimilationism, developments in direct action organizing in queer activist communities, and how artists have represented or responded to such things in their own practices. 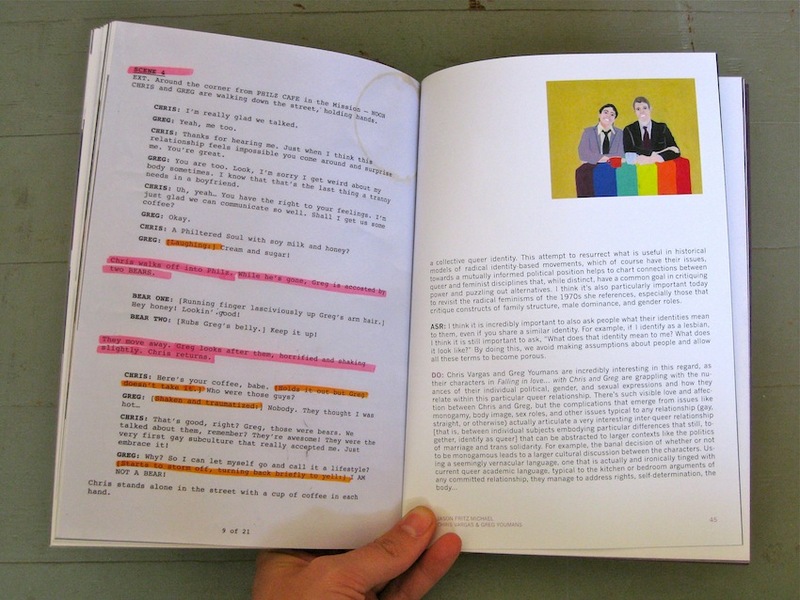 Like the exhibition itself, the catalog is split into three themes; The public sphere as a site for protest, education and affection; Self-organized communities, both intentional and imagined; Utopian, alternative worlds and the performance of self-determination. 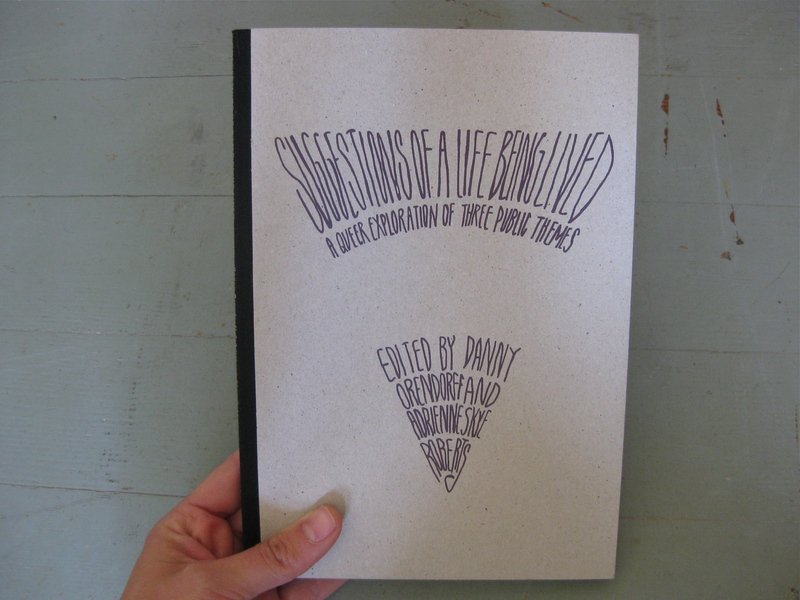 Thanks to everyone who contributed to our Kickstarter for making the catalog possible!